Last week in Malmö, all eyes were on the young Singaporean team. They were there to prove they could contend with the best. For themselves, for Singapore, and as representatives of the Asian region. Playing the opening match of the entire tournament against #1 ranked team in the World, SK Gaming, was no easy task. 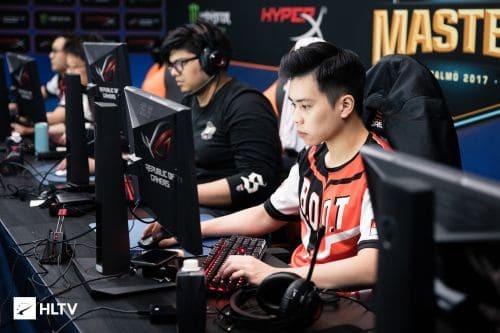 Their second opponents were no pushovers either, and with a recent line-up change giving them some much-needed boost in enthusiasm, Cloud9 (ranked #10) were not going to let the Singaporeans make them bow out of groups early. As much as didn’t I expect Dream[S]cape to make it past groups, I did not expect them to get dominated in such a fashion. Below, I attempt to highlight some key points from their two matches, keeping in mind that there was little I could work off of. Dream[S]cape only managed to take four rounds in total. Most analysis is done on their T side plays as Dream[S]cape did not have enough rounds on CT. Taking middle control in maps like Mirage and Cache plays a huge role in winning T side halves. When the T side has mid control, they are free to attack from more than one choke point. It frees up the possibility of having some fakes. 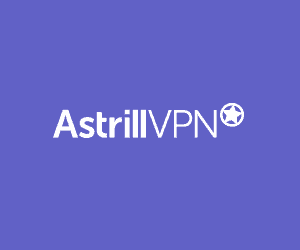 Most importantly, it denies the CT information about your location and it enables fast rotates or high percentage stacks onto sites. With the lack of mid control, Dream[S]cape executes/strategies were easy to predict as they had no middle control to mask their plan. During their match against Cloud 9 on Mirage, of the 8 gun rounds they had, 4 rounds were set executes on A site. That is 50% of rounds setting up smokes without any control of middle. Without middle control, Cloud 9 was able to run freely on middle as they had no movement restrictions around the map. This enabled fast flanks, fast rotates and it made them confident in stacking more players at the sites. This was particularly a weird play from Dream[S]cape as one of the most important aspects of Mirage is middle control. Even on the rounds they did attempt middle control, they either got picked off first or didn’t have much utility to take middle control. A big head-scratcher on Dream[S]capes’s part. From what I saw of their T side play in their match against Cloud 9 and SK, they had a set pace, which is relatively quick. There is nothing wrong with having a quick pace. Fnatic are notorious for having a quick pace when they play. 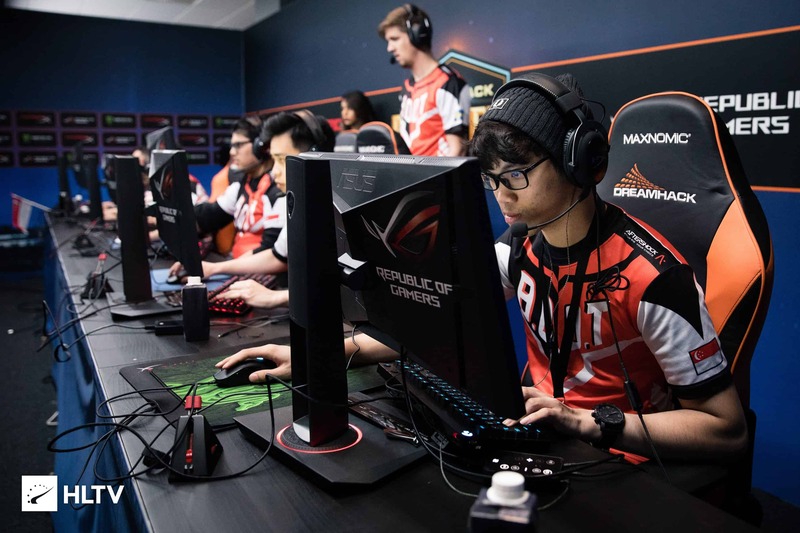 Quick play relies on solid and smooth communication, and while Dream[S]cape are one of the better Asian teams at that, perhaps this was an issue at Malmo. It is good to mix fast paced rounds with have slower paced rounds on T side especially when the opponents have so much utility on hand. A slow pace coupled with taking control of certain parts of the map is a good way of forcing CT’s to exhaust their supplies and setting yourself up for an execute. Set executes can be a good way to force rounds on the board. Dream[S]cape’s executes were reasonably good as they got the bomb down in most of the rounds, especially in their match against SK Gaming. However, when the economy of the game is against you, relying solely on set executes isn’t usually such a good idea. While Cloud 9 did a great job in retaking sites, it certainly helps when you have so much utility to flush out/isolate players during retakes. CT Side Aggression is quite common in Mirage, and any good team would know when to balance aggression with restraint. In some rounds, Dream[S]cape was clearly prepared for that, credit to them. However, there were some rounds that they were caught off guard and it gave the man advantage away. To make it worse, these happened on the most important rounds, round 8 and 12. Let’s look at round 12, where ‘splashske’ and ‘Benkai’ got caught by ‘fers’ incredible push under B short. This was a key round that secured SK Gaming the half. Dream[S]cape won the previous round with a Moxie 1 vs 2 clutch, making it 9 – 2 in favor of SK Gaming. However, this meant that Dream[S]cape needed to win this round or their economy would be reset, and it did. Getting caught off guard at that crucial point lost them the half. It could be said that given the opponents they are used to in Asia, Dream[S]cape had the right positioning and understanding that a push would be a possibility, but not the awareness. This sort of awareness is only gained after hours and hours of finely tuning your team at this level of play. Even though it was two key rounds that lost Dream[S]cape the game, SK Gaming is the best in the world for a reason. Their roster is filled with talent and the scoreboard proved it. Marcelo ‘coldzera’ David dropped 23 kills and Gabriel ‘FalleN’ Toldeo chimed in with 21. When FalleN and Coldzera are on fire, there is nothing you can do to stop them. To make things harder for Dream[S]cape, it is no question that FalleN is one of the best (if not the best) IGL in CSGO today, meaning that there is usually little that slips by him. A team has to possess both outstanding coordination and firepower to give SK a hard time. Best of ones are unpredictable and volatile in comparison to Best of threes. It requires teams to have a deep map-pool. 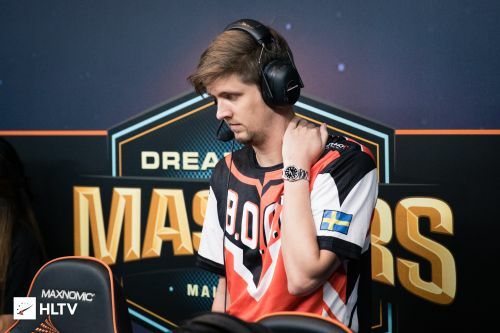 Unfortunately, Dream[S]cape’s performance at Malmö highlights their problem of a weak map-pool. Let’s look at the veto for the SK Gaming and Cloud 9 matches. 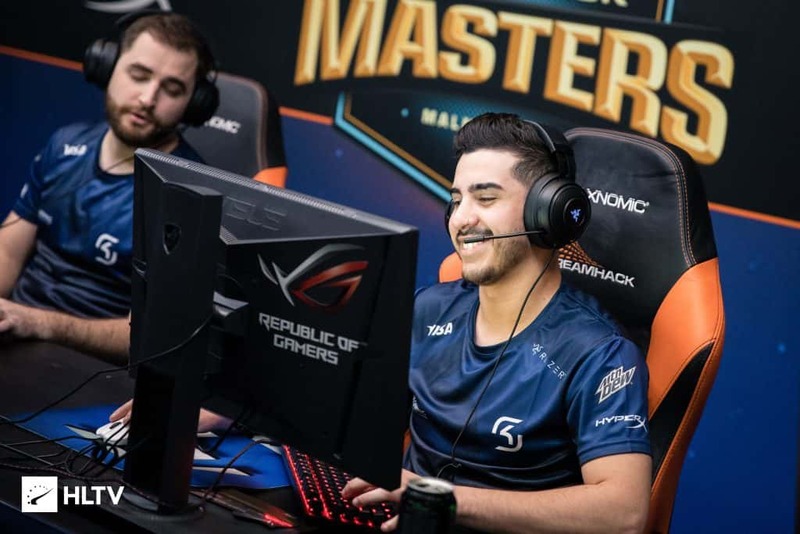 SK Gaming banned Nuke, Cache and Overpass, Maps that Dream[S]cape have a 60% or over win rate. What was left was Inferno, Mirage, Cobblestone and Train. Dream[S]cape hardly ever plays Cobblestone, they have a 44% win rate on Inferno and they lack consistency on Mirage and Train, having a 52.9% and 50% win rate respectively. Keep in mind that they are usually only playing against low-tier teams in Asia. Dream[S]cape was forced to ban Inferno and whats left? Mirage and Train, both maps that SK are monsters on. Pick your poison. The pick bans in the match against Cloud 9 played out in a similar fashion. Cloud 9 banned the same maps, Nuke, Cache and Overpass. Dream[S]cape was forced yet again to play maps that they are inconsistent or uncomfortable on. They ended up on Mirage, a map which Cloud 9 is, at least in these circumstances, comfortable on. Even though Dream[S]cape is no new comer to offline events, it is the first tournament they have participated in that includes the best teams that CSGO has to offer. It was obviously not going to be a walk in the park. No matter how skilled your stats are, there is nothing like raw emotions, nerves and the thoughts that trickle in your head that can get the better of you. Nothing can prepare you for that. The top players have learned this over many months, some even years, and that is a hard act to follow as a first timer. Even though Dream[S]cape’s first LAN performance wasn’t ideal, it was a good experience for them. With the lack of International exposure to non-Asian CS teams, a first round exit was to be expected. I am sure that they will head home with their heads high and continue to work on their game. Qualifying for Dreamhack Masters Malmö 2017 was no easy feat, if they continue to work hard, I am sure that their next international LAN performance will be much better. If you like what you just read, be sure to hit the ‘like’ button and share this for others to stumble upon. For more insights on the Asian CS:GO scene and upcoming content like this, be sure to subscribe to our newsletter.